Former Insurance Defense Lawyer now dedicated to helping individuals and their families throughout Alabama and Mississippi. 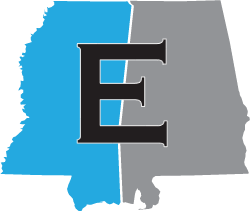 The Estes Law Firm was founded with one simple purpose – to represent individuals, families and small businesses throughout Alabama and Mississippi who have been injured, harmed or damaged in any way. We offer a free initial consultation and our phones are answered 24 hours a day and 7 days a week. If you have suffered personal injuries, suffered damages or suffered the death of a loved one, you are likely going to have to deal with an insurance company at some point. Talking to a lawyer may not be among the first things you think about after suffering a personal injury or the death of a loved one, but it should be. Prior to founding the Estes Law Firm, Chris Estes defended insurance companies, corporations, nursing homes and trucking companies for over sixteen years. Chris has years of experience defending insurance companies and big corporations that deny claims. Chris has experience with how they operate and knows first-hand how they handle claims and cases. Do not allow the insurance industry to dictate to you – let us put our industry experience to work for you. The Estes Law Firm is dedicated to providing your case the level of representation the corporations and insurance companies demand of the big law firms they keep on retainer. If you have been personally injured, harmed or suffered damages, please give us a call and let us help you. Pick up the phone. Call us. Text us. Email us. Or, fill out the Free Case Evaluation Form. Have a trial lawyer answer your question right now. It is that simple. The phone call is absolutely free. It costs you nothing but a few minutes of your time. Our firm works on a contingent fee basis, which means we only get paid when we recover money damages for you.